Have you heard of the latest rebate brought to you by Carter and RockAuto from which you can get $5 back if you purchase fuel system products? The idea is simple. You should choose this company`s products because it`s in the market from 1909 as a leading manufacturer of complete solutions. The team behind this brand work non-stop to deliver to you high quality filtration items which usually exceed OE standards. The company`s coverage spans marine, domestic, diesel and import applications. Passionate team that is driven by details. Complete solutions in one single box offers easy and fast installation. Quality fuel-pump items that will save you money as well as time. All items are 100% tested to offer high quality performance and effectiveness. CleanScreen™ filtration technology offers 40% more capacity than competitive items and offers more life to the pumps. 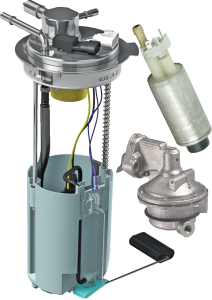 Buy any fuel pump item (Electric, Universal, Assemblies, GDI or Mechanical) from Carter and get 5% back. The rebate is eligible for the entire month of February 2017. Wholesaler Closeout items aren`t eligible for the rebate. This rebate is only available for U.S. residents over 18 years old. You should wait at least 6 to 8 weeks for delivery. There`ll be no response given for incomplete or inaccurate requests. This rebate can`t be mixed with other deals. The rebate isn`t available to dealers, manufacturers or distributors. All checks of this rebate will be paid in United States dollars. UPC symbols taken from any Carter product ordered. A validated order receipt from RockAuto having the order price circled. Note: for any questions or inquiries, use the customer service number 1 800 288 7426. WJB Automotive – 10% Savings on Hubs, Bearings & Seals! CARDONE Eco-Friendly Hot Rod: Win a Custom `66 Chevelle!